Deana Sroka & David Miller win GOLD in Adult Silver Partnered Dance at 2019 US Adult National’s! We need volunteers for the upcoming year that include: newsletter production, web site updating, club social events, assist in membership, test sessions, competitions, club treasury/accounting, club shows, fund raising, etc. We also need folks to become active members of our board of directors. Please e-mail the club for details: northjerseyfsc@yahoo.com. Coaches: your new or renewal membership has an additional step. 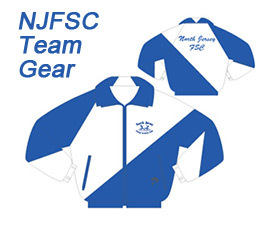 After you register to become a NJFSC coach member for the first time or renew your membership through NJFSC, your US Figure Skating membership is obtained by us. Please remember that you also have to go to the US Figure Skating web site to verify your liability insurance and provide information for your required background check. This step must be completed by all coaches who plan to have skaters test or compete in U.S. Figure Skating sanctioned events. Click Here For Additional Information. The NJFSC reserves the right to accept or reject your membership based on completion of your background check or based on any disciplinary matter that may arise during your membership. NOTE TO PARENTS: Did you know that you must be a member in good standing with the club to have voting rights and to be on our board of directors? We will be happy to explain the process.